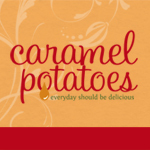 I love twice baked potatoes, but this is a much simpler way to feed a crowd twice baked potato flavor. You know I am in love with simplifying my time in the kitchen lately. (Sugar Cookie Bars, Carrot Sheet Cake.) And lately it seems to be simplifying my desserts, but that is not the only place to save a few minutes. 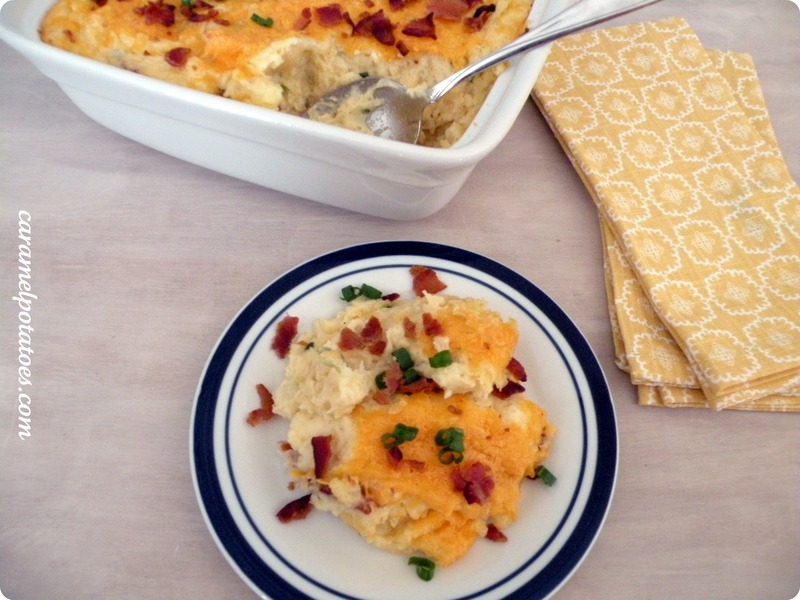 These mashed potatoes give all the flavor of the beloved twice baked potato. These make a great side for so many dinners. Go ahead try them, you’ll like them! *This recipe really is for a crowd. It should be enough to feed 10-12 as a side dish. Feel free to cut this in half if you are not feeding a small army. Preheat oven to 350 degrees. Peel potatoes, and cut into 1 inch chunks. Place potatoes in a large saucepan, and add enough water to completely cover them. Bring to a boil over high heat. Turn the heat down to Med-high once boiling. Cook until tender and easily pierced with a paring knife (about 20 minutes). Drain the potatoes in a colander and then return to pan. Using a potato smasher (or fork if that is all you have), mash the potatoes to desired consistency. Stir in cream cheese, butter and sour cream until well incorporated. Add cheddar cheese, 2 green onions, half the bacon (crumbled), salt and pepper; stir well. Transfer to a greased 9×9 baking dish (and 3 quart baking dish will work). Top with additional cheese and place in the oven. Bake for about 30 minutes, or until the top is golden brown and potatoes are hot throughout. Garnish with additional crumbled bacon and green onions.